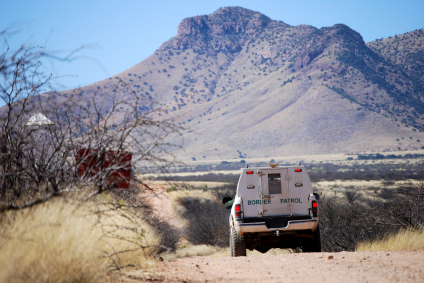 A drug smuggler mauled by a Border Patrol dog while trying to bring drugs across the U.S.-Mexico border is suing the federal government, The Week reports. Jose Manual Marino-Najera, 31, said he crossed the border into Arizona and fell asleep under a tree when the dog mauled him. Marino’s attorney said the lawsuit is possible, even though the defendant was in the country illegally, because he was in the U.S. at the time of incident. The suit seeks lost income and compensation for severe pain and suffering. Posted: 12/11/14 at 9:14 AM under News Story.